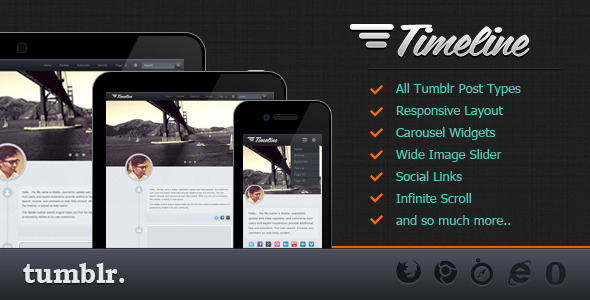 TIMELINE is a Premium Tumblr Theme that was designed to view your tumblog as timelines. This is a personal theme that’s suitable in use for people who have an active and enjoyable life. 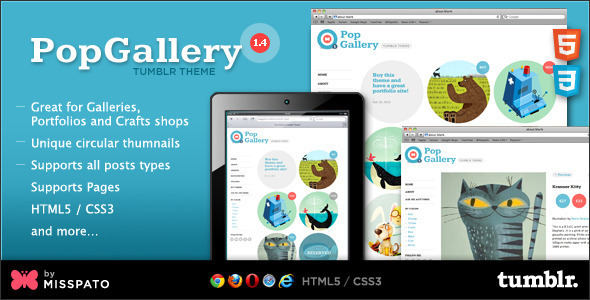 Welcome to “The Playground”, a highly customizable Tumblr theme based on the famous jQuery masonry plugin. Nuance is a clean, minimal, customizable and unique tumblr theme. orma focuses on real content, presented in a refined design. The flawless user experience is the most notable feature of Forma. At the same time the blog author has full control over the theme, thanks to the theme options. Last but not least, Forma comes with extensive documentation, so you don’t feel lost when you buy it.